We are Offering MS Fasteners to our Client. Tradewell Ferromet Pvt Ltd can provide Cold Forged & Hot Forged Metal Fastener / Non Standard Metal Fastener with complete material compliance. Being a well known firm, we are engaged in offering an extensive range of Mild Steel Fastener to meet the demands of our customers. These products are easy to use and needs low maintenance. Our products are suitable to meet the applications of various industries. We are offering these products at competitive rates. We are immersed in the presenting Mild Steel Fastener to all commercial consumers for joining two different surfaces. All fasteners are widely acknowledged in mechanical and automobile industries. 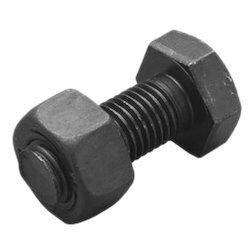 All steel made fasteners are rust resistant. As a leading name in the market we are considered amongst the foremost names in providing high quality Mild Steel Fasteners. Designed and fabricated using finest raw materials and latest techniques they are available in various sizes and widely used in fabrication industry for joining and strengthening of various components. 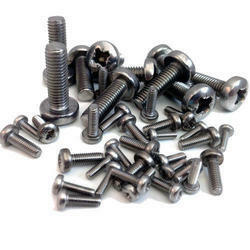 We are a leading manufacturer, supplier, exporter and trader of Bolts, Screws, Fasteners and Nuts. In order to cater to the diversified requirements of various industries, we are offering Mild Steel Fastener. We manufacture this product with ultra grade mild steel that is collected from well-established raw material suppliers. We are Horizon Mercantile Associates Pvt Ltd.in high quality offering available now.